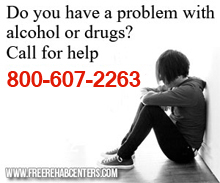 Cincinnati, OH Free Treatment Centers, Affordable Rehab Centers. Treatment Center for men. Services include: Ex-Offender Counseling for Men, Gambling Counseling/Treatment for Men, Relapse Prevention Programs for Men, Residential Substance Abuse Treatment Facilities for Men, Substance Abuse Drop In Services for Men, Transitional Residential Substance Abuse Services for Men. Costs: Low cost affordable sliding scale treatment.